The Green Phone Booth welcomes Lisa Frack from the Environmental Working Group (EWG). If you've not visited EWG, among other things, they offer a wealth of information for living a less toxic, more healthful and sustainable life - especially for our little ones. Thank you, Lisa, for sharing your thoughts on protecting our children and the power of parenting. Long before working with EWG, I often visited our "For Parents" page. I appreciated and trusted the information there (still do! ), but truth be told, what I really appreciated was that it was designed for parents, for me! It let me know that someone understands how concerned we parents are, how very much we want our children to be healthy, how important we are in triumphing over this whole chemical mess. So now, from the "inside," working alongside a bunch of other equally concerned parents at EWG (27 young kids among us! ), I get to work within the American parent community to encourage environmentally healthy choices at home by sharing our research and guidance, and - closer to my heart - empowering them to speak up for policy change that will make all of our families healthier, from the very, very beginning. Why are we parents so important, you ask? Easy. 1: We establish practices and make purchases for our households that directly affect the environmental health of young children and pregnant women. Do we leave our shoes at the door, or track in toxins? Do we wash our hands often, and with what? Do we use green cleaners? Non-stick or cast-iron? And the choices go on - many of them critical to our environmental health. 2: We are constituents who can speak up for policy change. Strong, persistent constituent voices are often critical to policy change, since lawmakers, of course, serve at our pleasure. Because it's parents (really) who are uniquely poised to create the momentum we need to reform the Toxic Substances Control Act, the existing law that (barely) regulates industrial chemicals in the U.S. - chemicals like bisphenol-A, phthalates, and Teflon, among many, many thousands of others. Women's rights, for example, weren't brokered by Betty Friedan and Gloria Steinem over tea. As Steinem would be the first to acknowledge, the feminist movement of the '70s took root around kitchen tables and coffee tables, ignited by hundreds of thousands of now-anonymous women who were sick of being called "honey" at work and excluded from "men's" jobs. Media stars such as Friedan and Steinem did a brilliant job of proselytizing, but it took an army of unsung heroines to stage the protests, organize the conferences, hand out the fliers and spread the word to their neighbors and co-workers. This reminder from one of our country's great social movements heartens me as parents from Seattle to Nashville, Pittsburgh to L.A. lift up their voices and demand change: we want safe products for our children and ourselves. We want to birth newborns without additives, nurse our babies with chemical-free breastmilk, and trust our government's now very broken consumer safety system. For starters! So my goal for 2009, as a parent and EWG staffer, is parent power. I want to help foster it, support it, nurture it, partner with it, you name it. 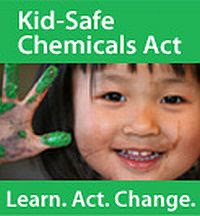 All to pass the Kid-Safe Chemicals Act. It won't be easy or quick, but we can do it. And it'll be very, very worth it. So start now by learning about Kid-Safe, signing and spreading The Declaration for kid-safe chemicals, and hosting a Kid-Safe house party. We need all hands on deck to make this happen - yours included. I'm happy to see this post! It's important that parents get involved in preserving the environment and politics in general. If we want to see change, we have to get involved. Many of us non-parents care a lot about future generations, too! Thanks, Lisa - please keep checking in with us to help spread the word about how we can help pass the Kid Safe Chemicals Act. Might make the checklist of items parents have to safeguard in their homes a tad shorter! So true! I have always said, Moms (and Dads) can change the world. We have the compassion, understanding and power to do so. We just need to learn what we can do and then implement that into our every day lives. When we make changes in our family, we change the course of our collective future. Mom and dad are their kids the first teacher and the only teacher with their kids in their whole life. That's why parents need to constantly learn and be your children's best friend and be a good parent. 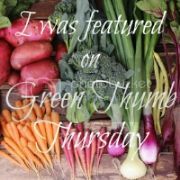 Thank you for the guest post, Lisa! I agree that all parents - and all non-parents who work for the next generation - can wield enormous power.